Luckily, there was a Veteran's Day Sale and my friend Anna gave me a coupon . 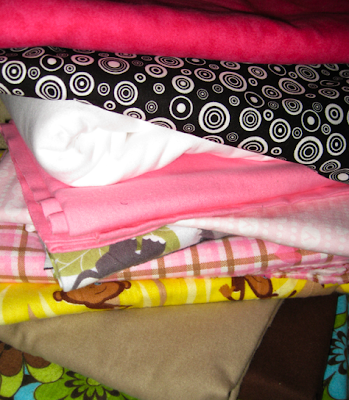 . . now I can make lots of warm baby blankets for everyone having babies. I'm going to make a monkey/banana blanket, a hot pink/black & white blanket, elephant blanket, a pink John Deere blanket, a turquoise flower blanket and a light pink/white blanket.